After 16 years in San Diego's Gaslamp, Los Panchos De Charly has closed, although owners are promising a revival in Mission Valley in the near future. Opened at 431 E Street in downtown San Diego in September 2003 by Carlos Diaz-Ochoa, Los Panchos Mexican Grill & Cantina became Los Panchos de Charly after Luis & Veronica Diaz took over operations in April 2012. 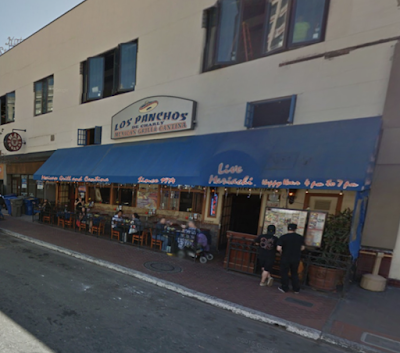 Los Panchos was forced to shutter after the landlord attempted to double the rent. Although the downtown location has closed, there are still Los Panchos branches in business in Hillcrest and Del Cerro. Los Panchos owners hope to to find another downtown San Diego space so that they can reopen Los Panchos de Charly in the near future. They are also in the process of bringing another Los Panchos location to the Fashion Valley area of Mission Valley. For more information on Los Panchos de Charly, visit lospanchosdecharly.com.